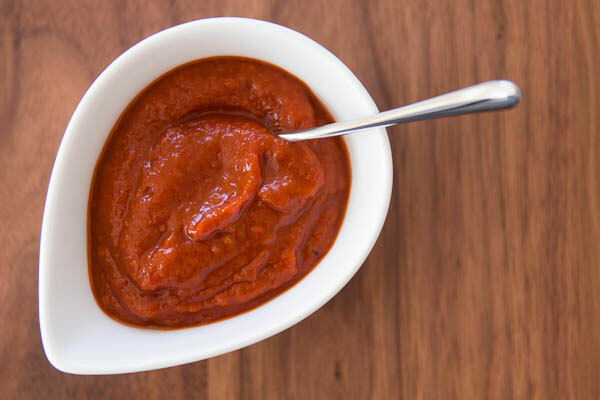 Used in everything from barbecue sauce to baked beans and a tableside condiment, ketchup is undeniably an integral part of a summer barbecue. Yet, despite its pivotal role, it’s a commodity that’s bought in bulk at big-box retail outlets and slathered onto food without a second thought. But have you ever heard anyone say, “WOW that ketchup is really good!” No? Well neither have I. That’s why I decided it’s high time that ketchup gets a little respect. According to dictionary.com, the definition of “condiment” is “something used to give a special flavor to food”. There’s nothing special about a squeeze bottle of Heinz, and so my goal wasn’t to make a knock off, but to create a unique condiment that truly imparts a special flavor to food. I wanted something that was awesome in sauces, and even better on French fries. What I came up with was a ketchup with depth from an array of caramelized vegetables, smoky notes from the roasted bell pepper, and a balance of sweet, savory, salty, and tangy that tickles every taste bud in your mouth. It’s more flavorful than the red goop that comes out of a bottle, and yet it won’t overpower the food that you eat it with. It also doesn’t contain any high fructose corn syrup. 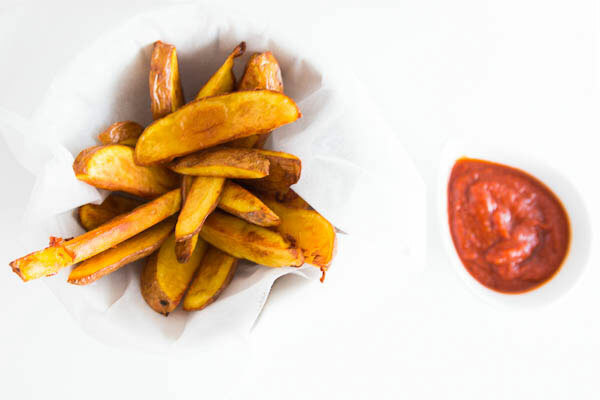 Using bottled ketchup doesn't have to be your only option, make it fresh with Marc Matsumoto's recipe for ketchup in a full post on the Fresh Tastes blog. the top position. Turn on the broiler and char the skins until black. You can also do this on a grill. Wrap the peppers in aluminum foil and fold over the edges to seal, the trapped steam will help loosen the skin from the peppers. Once they’ve cooled, peel the bell peppers and roughly chop them. Add the olive oil to a heavy bottomed pot or frying pan, and sauté the onions, celery, ginger, and garlic over medium heat until they are just starting to turn brown around the edges. Add the red bell peppers, dark brown sugar and honey. Cook, stirring until the sugar has melted. 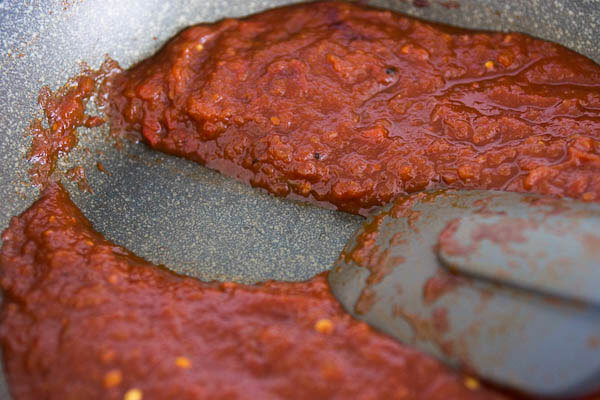 Add the tomato sauce, vinegar, tomato paste, salt, cloves, coriander seeds, nutmeg, and white pepper. Gently simmer over low heat, stirring regularly, until you can run a spatula along the bottom of the pan and it leaves a trench in the ketchup (about 45 minutes). Turn off the heat and allow the mixture to cool. 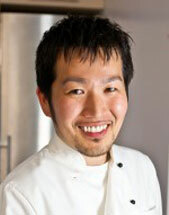 Add the cooled mixture to a food processor or blender and process until smooth. 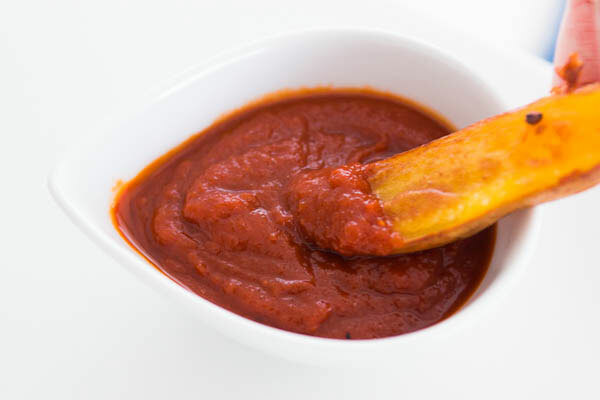 I like having a little texture so I use it as is, but if you want your ketchup silky smooth, pass the blended mixture through a fine mesh sieve and discard the solids.